This Banjo fitting assembles directly to AN hose. 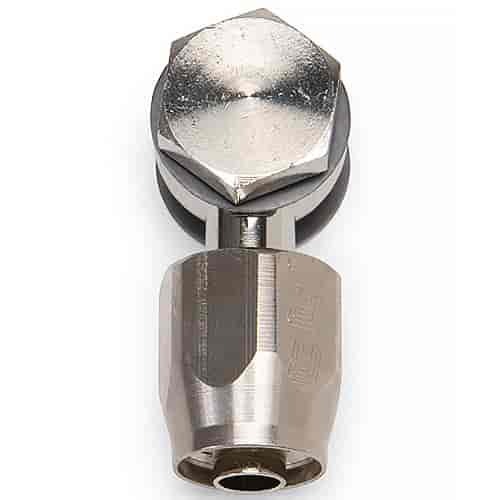 Russell Banjo-style carburetor adapter fittings are precision machined for fit and finish. Ideal when connecting AN fuel lines your carburetor. All aluminum construction featuring precise thread engagement and a positive seal at maximum operating pressures. Features a high quality anodized finish or Russell's unique ultra-bright Endura finish that simulates the appearance of stainless steel.